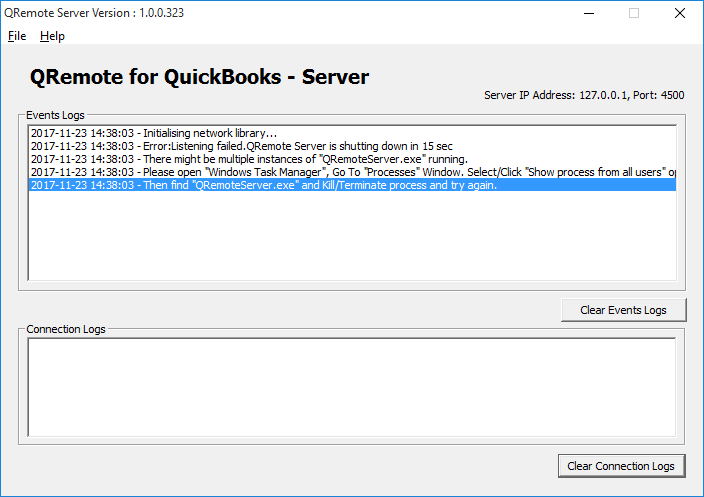 When I start QRemote Server, I get QRemoteServer Started and it shows "Listening failed.QRemote Server is shutting down in 15 sec"
I'm following the tutorial here: http://qodbc.com/QODBCremote.htm to access QuickBooks remotely. However, When I launch QRemote, the application immediately closes. My QRemote is version 1.0.0.321. 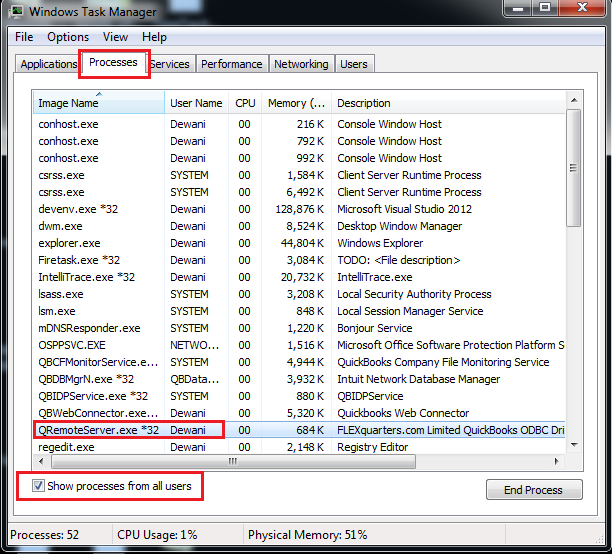 This means there is already an instance of QRemoteServer running on the same machine. You will notice QRemoteServer.exe running. If you are using Terminal Services Machine there might be other users who have started QRemoteServer. 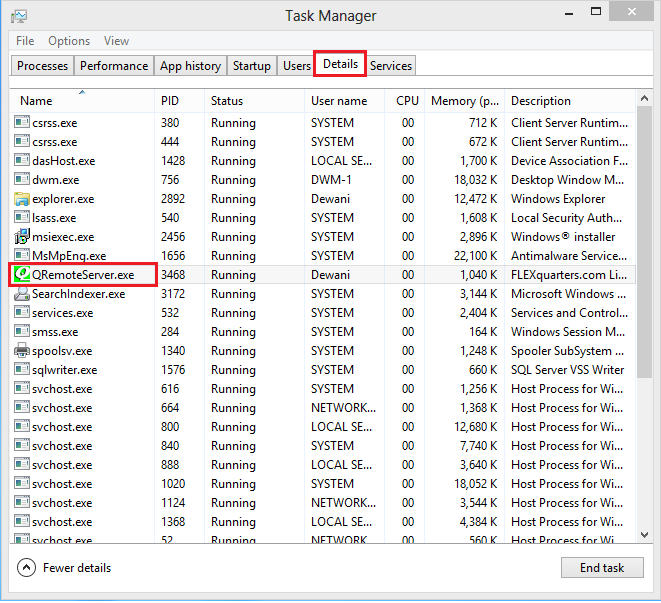 Either you can ask the user who is running QRemoteServer to Close the application or you can kill the QRemoteServer.exe (if you are sure that it is not in use).